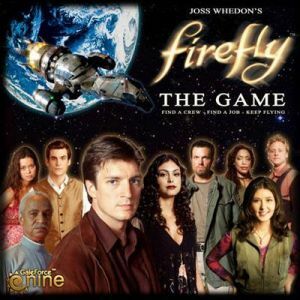 Firefly, the popular Fox television series created by Joss Whedon, comes to life in a new boardgame from Gale Force Nine. Compelling characters, great storytelling and an evocative universe have made Firefly a fan favourite for over a decade. Now fans of the television show and board games can chart their own course with Firefly: The Game. In Firefly: The Game, players captain their own Firefly-class transport ship, travelling the ‘Verse with a handpicked crew of fighters, mechanics and other travellers. As a captain desperate for work, players are compelled to take on any job – so long as it pays. Double-dealing employers, heavy-handed Alliance patrols and marauding Reavers are all in a day’s work for a ship’s captain at the edge of the ‘Verse.